Utilizing Langston’s sparse musical sketch, trumpeter Ron McCurdy has written a new score to accompany this twelve-part poem. McCurdy and his band provided the musical backdrop and Langston’s verse was narrated by rapper and actor Ice-T. The poem was written in the immediate aftermath of the 1960 Newport Jazz riot. ASK YOUR MAMA takes a sweeping look at African American culture, anti colonial struggles and the growing civil rights movement. 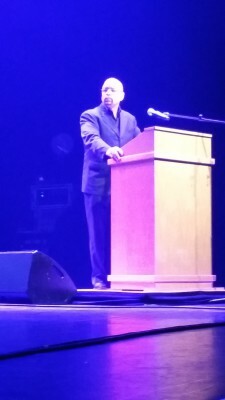 While he envisioned his poem performed with music drawn from the blues, gospel, bebop and progressive jazz, Latin and Afro-Cuban traditions, he also said the poem could be read unaccompanied. ASK YOUR MAMA is Hughes’s longest poem, epic in scope, it is also one of his least known. The text is in all capital letters, the singer Jessye Norman argues that this is the “typographical signature of a scream”. Each of the 12 moods is full of jokes and metaphors; most revolve around the street joke your mum. 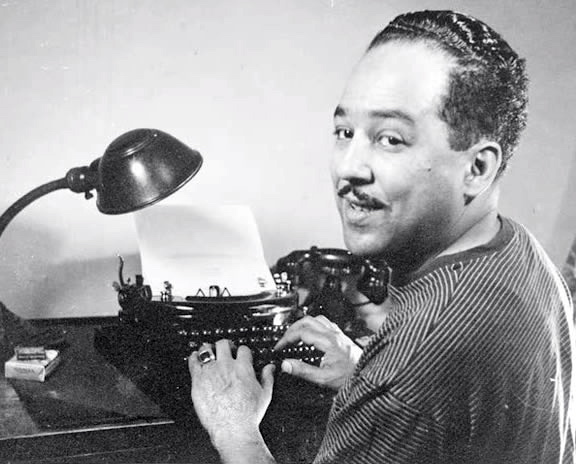 Langston planned to record the poem accompanied by Charlie Mingus and Randy Weston, sadly this never happened and the poem was never performed during his lifetime, Langston died in 1967. Last night was a multi-media show using poetry, music and images. In my opinion some elements of the show worked well others not so. For me Ice T shone like a diamond. It was a joy to see one of the founders of West Coast ‘gangsta rap’ give such a nuanced and deep reading of Langston’s poem. The interplay between Ice T’s narration and Ron’s vocal narration also worked brilliantly. Likewise the visuals followed the poem as it weaved its narrative – images of Langston and other cultural heroes were interspersed with short film clips and pictures of black life in the US, anti racist and anti imperialist struggles. The music for me was the weakest element. There were moments of beauty, but too often failed to match the anger and imagery Langston’s verse conjures. That criticism aside it was a great show. There is in my opinion no greater poem of the Civil Rights period than ASK YOUR MAMA. It can be seen as a poem of non-violent revolution. And for bringing it to a UK audiences attention Ice T, Ron McCurdy and his band deserve massive praise.